The concept of "manifest destiny" is the U.S. mindset that the country was destined by God to have its borders stretch from the Atlantic to the Pacific Oceans, "from sea to shining sea". How the government went about achieving this was through a number of "acquisitions" of large areas/tracts of land. This growth of the U.S. happened very quickly, starting in 1803 with the purchase of the Louisiana Territory and ending in 1853 with the Gadsen Purchase. 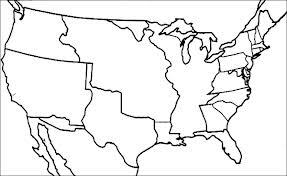 In this 50 span, manifest destiny became a reality and the "Continental United States'" borders were what we know them to be today. Don't forget to scroll down, there is a lot of information on this page that should help you understand, study, or explore the topic. On your paper, elaborate on the following motivating reasons for Manifest Destiny. Polk was known as “Young Hickory”. Why is he compared so closely with “Old Hickory”? What issues came up in his presidency that were similar to some of Andrew Jackson’s presidency? What do you think Polk felt the benefit of completing Manifest Destiny was? Why did he choose to go to war with Mexico instead of seeking peaceful compromise? How did the geography of the west play a role in migration of settlers? Discuss the Rocky Mountains and how they were a factor? Time of year they could be crossed. Challenges associated with crossing them. 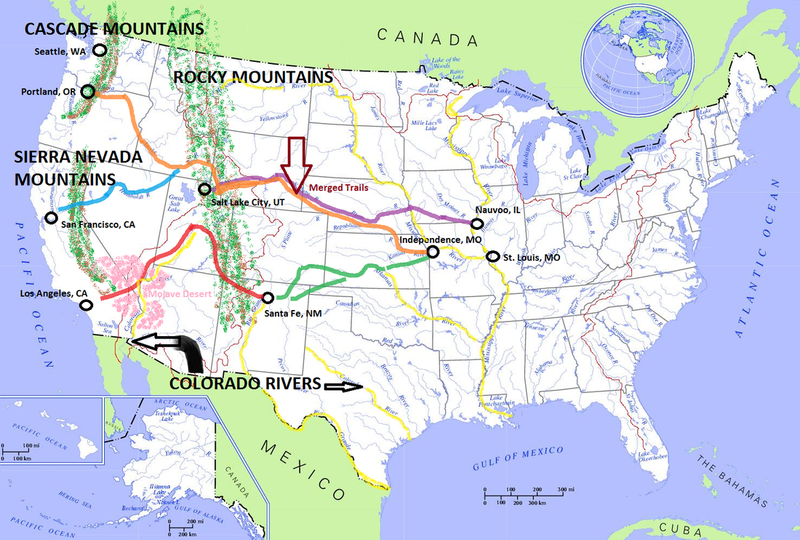 Why did the U.S. purchase the Gadsden Purchase, what did that area of land provide us with? How did rivers play a role in the migration of settlers? Why do you think Denver became such a large town, it is highlighted on the large map on the west wall of the room. List out the 6 land acquisitions of the United States (excluding Florida – we really didn’t talk about that). As you list them, write whether they were acquired by peaceful or violent means. 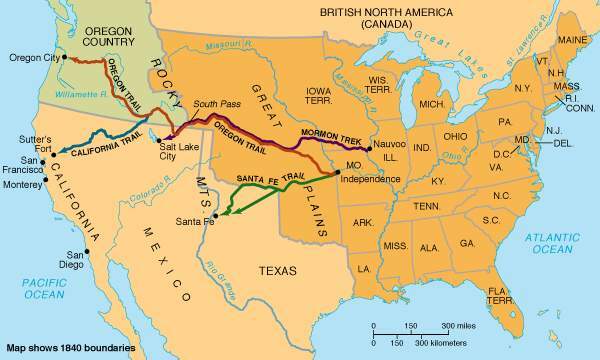 Manifest Destiny: Idea that Americans were destined to expand their borders from the Atlantic to Pacific Oceans, crossing the continent of North America, spurred the mass migration that took place in the mid-1800’s. This is roughly what your map should look like. Northwest Ordinance 1787 law passed that described how the Northwest Territory would be governed. Provided future territories with blueprint for how territories would become states. 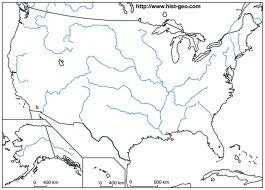 Louisiana Purchase the acquisition of a large tract of land from France in 1803 known as the Louisiana Territory. This purchase was authorized by Thomas Jefferson. Gadsden Purchase An area of land purchased from Mexico following the U.S.-Mexican War that allowed for a trans-continental railroad to be possible; the Rocky Mountains prevented the railroad and made this area very necessary to the U.S.
Annexation of Texas The country known as Texas that had recently won its independence from Mexico was brought in to the U.S. via its annexation in 1845. This was a reason for the U.S.-Mexican War. 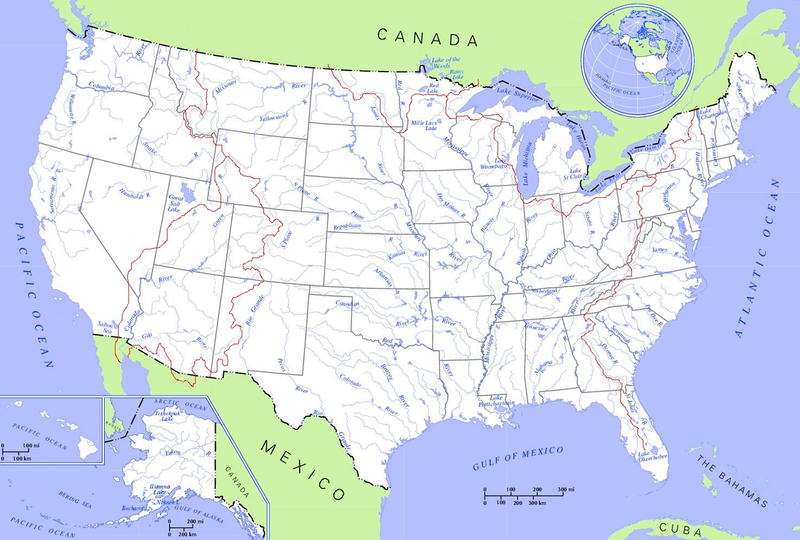 Oregon Territory An area that was jointly occupied by both Britain and the U.S. The two countries split the territory with the U.S. taking the southern half. Alaska Purchase (Seward's Folly) An area of land purchased from Russia. At the time of its purchase, it seemed to be a waste of money, however has turned out to have some of the greatest natural resources that the U.S. possesses. Mexican Cession Area of the United States known as the Southwest that was given up (ceded) by Mexico after its loss against the U.S.
Frontier Fort(s) A fort that was set up to protect settlers. These forts were located all across the frontier. Annexation The permanent addition of an area to an existing country.